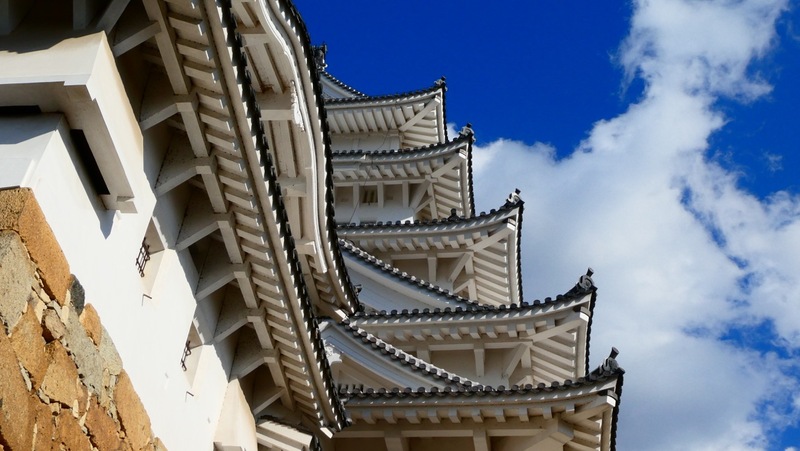 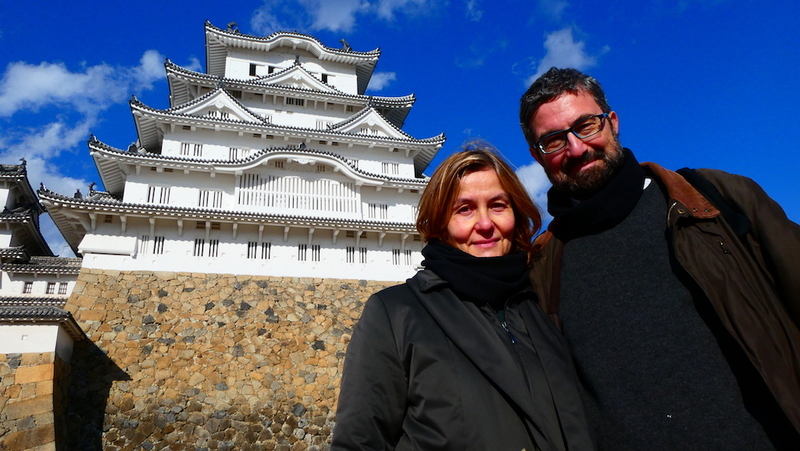 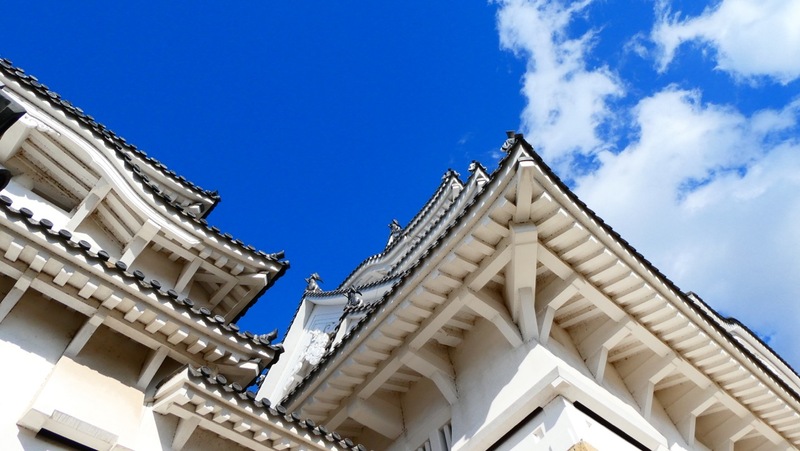 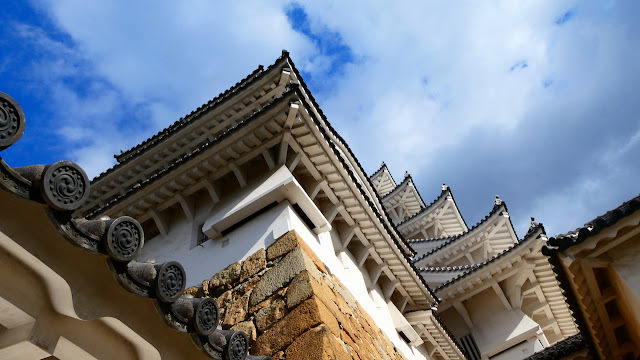 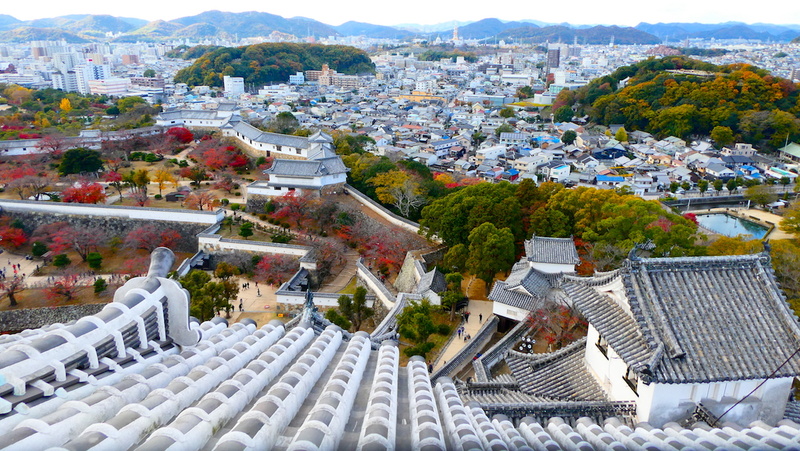 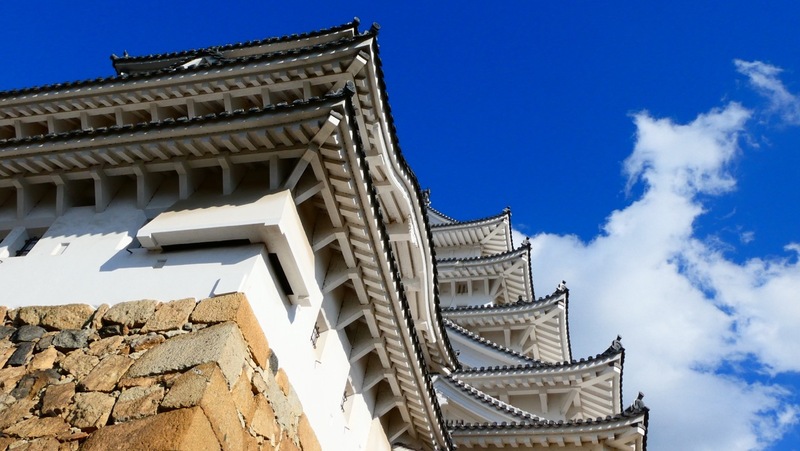 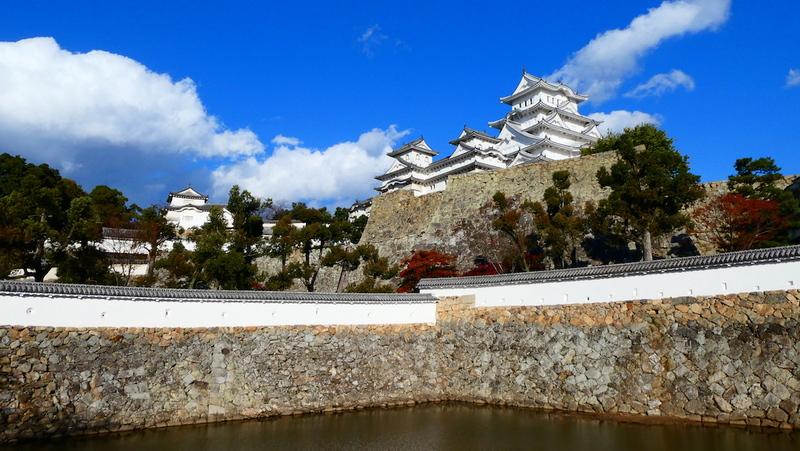 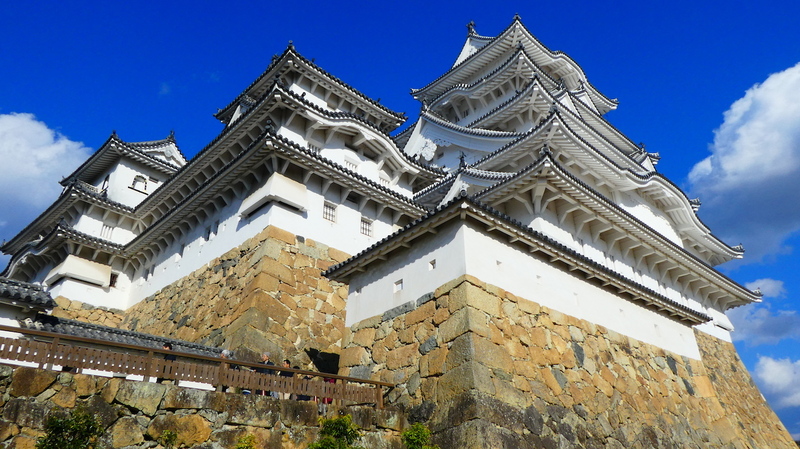 Himeji-jo, the castle of Himeji, also known as Hakuro-jō or Shirasagi-jō ("White Egret Castle" or "White Heron Castle") because of its brilliant white exterior and supposed resemblance to a bird taking flight. It dates back to 1333, but was completely rebuilt by Ikeda Terumasa, son-in-law of Tokugawa Ieyasu, from 1601 to 1609. 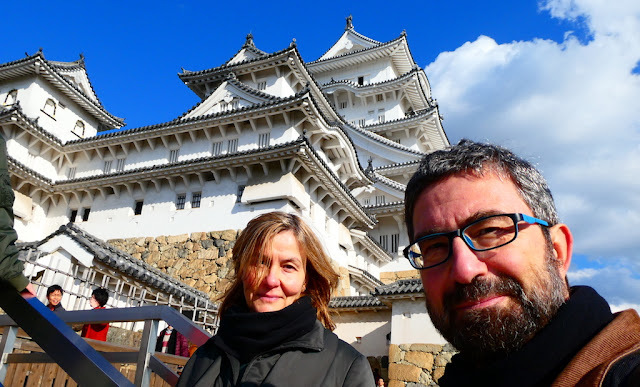 Himeji Castle is the largest castle in Japan; it is a magnificent and elegant building complex and a UNESCO World Heritage Site. 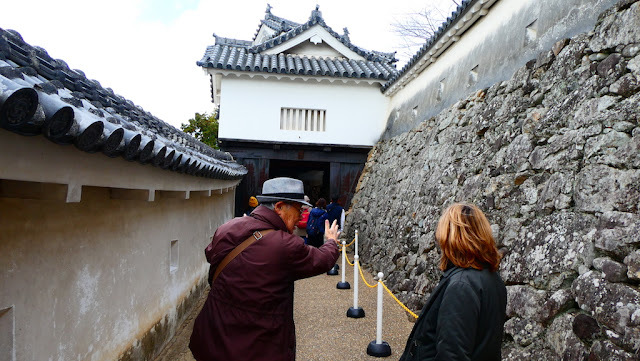 Scenes of Kurosawa's Ran were shot here.